“Inside Churchill Downs,” co-hosted by Churchill Downs Racetrack’s John Asher and Darren Rogers, returns to the airwaves Saturday from 10-11 a.m. (all times Eastern) on ESPN 680/105.7. The one-hour program will air every Saturday through July 2 (closing day of Churchill Downs’ Spring Meet) and follows the popular Horse Racing Radio Network Equine Forum hosted by Mike Penna from 8-10 a.m.
Saturday’s show will deliver the latest news surrounding Kentucky Derby 142 and a preview the Road to the Kentucky Derby and Kentucky Oaks Championship Series stakes action around the country. Guests include Hall of Fame and three-time Kentucky Derby-winning jockey Gary Stevens, who’ll ride Mor Sprit in Saturday’s Santa Anita Derby while looking to collect his record-extending 10th win in the race. Those outside the Louisville radio market can listen live online at http://www.espnlouisville.com/. 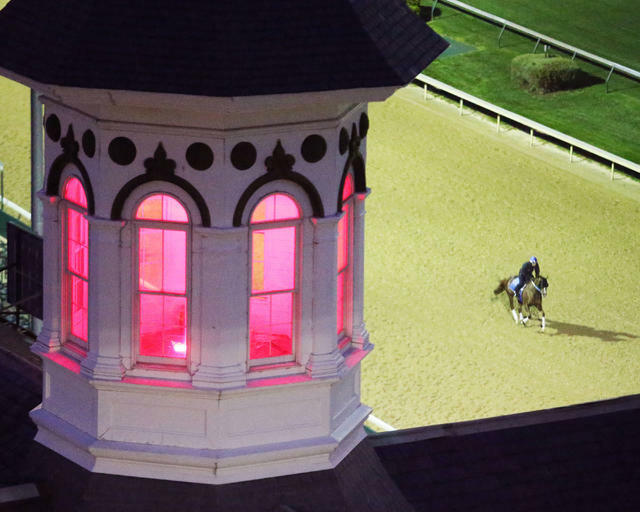 Opening Night for the 2016 Spring Meet at Churchill Downs is three weeks away on Saturday, April 30. The 142nd running of the Kentucky Derby Presented by Yum! Brands will be staged a week later on Saturday, May 7.